Tech Tuesday – Long Lived Ancestors or Computer Confusion? I use Family Tree Maker 2012. Every couple years I buy the newer version and in general, I like the program. Even though I've had it for years I still learn new things the program can do. I was looking at the Publish/Collection/Calendar Report recently. The calendars generated show birthdays and anniversaries. 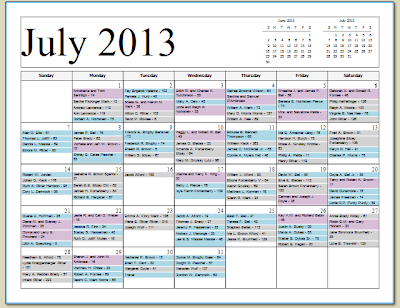 When I looked closely at the calendars I saw many very long lived family members! What happens is this: There are many people whose death dates are unknown to me. There are also people who I just don’t know if they are living or not. Family Tree Maker assumes they are living and keeps counting their birthdays. I must remember to type ‘Unknown’ in the field for date of death or the years keep adding up. Do you have another way to deal with this? 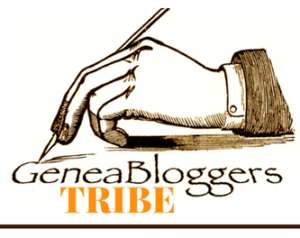 In more ways than one, Genealogy keeps people alive! This week Sepia Saturday's topic is Bibles. 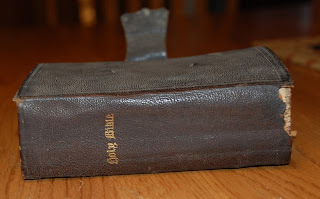 I am fortunate to have a Bible that belonged to my second great grandmother, Esther Barbara (Wolf) Gruissy. It was not treated kindly over the years and is in very poor condition. This Bible was printed in 1856 by the American Bible Company in New York. The signature of her daughter, my paternal grandmother, Ivy Regina (Mark) Brown. Despite the poor condition this Bible is precious to me because of those signatures. Be sure to visit Sepia Saturday & see more Bibles! This teapot belonged to my great aunt, Kathleen G. Coyle. She lived in New York City and visited the fair several times. Sometimes she went with her sisters and once she took my mother along. Kathleen had other souvenirs: silver spoons, a glass bank and salt & pepper shakers. The teapot is my favorite because of the bright cobalt blue color. I looks like it was purchased recently, rather than over 70 years ago. The design on the teapot shows the Perisphere & Trylon, symbols of the Fair. The Trylon was 610 feet tall and the Perisphere was 180 feet in diameter. They were the symbols of the Fair and appeared on many of the souvenirs. Gwynn, Zae Hargett. 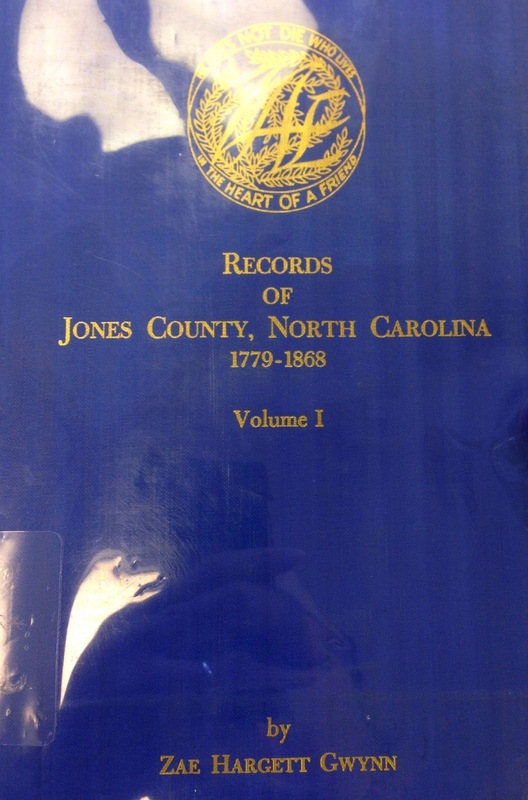 Abstracts of the Records of Jones County, North Carolina, 1779 - 1868. Volume I. Kingsport, Tennessee: Kingsport Press, Inc., 1963. This book has almost two dozen references to my Brown ancestors! I have limited information on my straight Brown line. The progenitor of our Browns is EdwardBrown, Sr. b c 1730 & d c 1797 in NC. This book shows me Edward on the tax list in 1779 “Brown, Edward. 100 acres, 100 acres, 100 acres, 50 acres in Jones Co., 25 cattle, 4 horses.” This is the earliest information I have on him. That’s just the first of several references to Edward and his sons. 1783. Edward Brown witness to wills. 1792. "Dec. 27, 1792. Aaron Brown. 50 acres on north side of Trent joining Rice Dulin and Edwd. Brown and to the river. It has been wonderful to add to my limited information about my Browns! I recently received William Dollarhide’s book, Map Guide to American Migration Routes, 1735 – 1815. It was a Mothers’ Day gift from our daughter & son in law. Published by HeritageQuest in 2000, it is not a new book but it is new to me and I am enjoying it. This book includes maps and interesting details about our country’s oldest roads. The Table of Contents includes: Colonial Roads to 1750, Colonial Roads, 1750 – 1775, Roads to the Ohio Country & Roads to the Old Southwest. The intent of the Map Guide is to show the routes over which migrating families could travel overland in America before the industrial revolution. I know some of my early families packed up their children and moved from one part of our country to another. I wanted to learn more about what that move was like. What route did they take? What were the dangers? How long did it take? This book made its way onto my wish list in hopes of answering some of these questions. I started by using the book to discover more about John Brumfield. My 4th great grandfather was John Brumfield [c1768 – 1834 LA] who married Margaret Kelly [1772 NC –LA]. They were married 23 October 1788 in Wake, NC. Eleven of their children were born in York, SC between the years 1790 – 1811. Then, according to Luke Ward Conerly’s Source Records from Pike County, Mississippi, John moved his family to Washington Parish, Louisiana. With further research I found the family in Dorothy Williams Potter’s Passports of Southeastern Pioneers. On 8 November 1811 Georgia issued a passport for John Brumfield, his wife and 11 children to travel through the Indian Nations to the Western Country. In 1805, the United States Government signed a treaty with the Creek Indians which redefined their boundaries and, incidentally, gave the U. S. the right to build and maintain a “horse path” through the Creek lands. The treaty recognized the tribe’s autonomy and provided for “passports” to be issued by any of the governors of the U. S. states which would allow whites to travel through this “foreign nation”. The book paints a picture of the Upper Road & the Federal Horse Path which John and family would have traveled on. The horse path crossed many wetlands where raised causeways had to be built. The Creeks operated inns and waystations for travelers. I’ve learned a little more about what it was like for John, Margaret and their 11 children to relocate. Once they settled in Washington Parish, LA they had two more sons. Additionally this book tells the readers how to follow our ancestor’s routes today, which highways follow the general path of those early paths. I can retrace the Brumfield’s footsteps by driving the routes mapped out in the book. Sounds like fun! Potter, Dorothy Williams. Passports of Southeastern Pioneers 1770 - 1823. Baltimore: Genealogical Publishing Company, 2002.
population & nonpopulation schedules give us insights into the lives of our ancestors. What have you found that is Surprising? Reassuring? Bewildering? Write your own Census Sunday post. Recently I had a moment when I wanted to slap myself and say, ‘Why didn’t I do that sooner?’ Guess I just never thought about my great grandfather, Michael Coyle, as Mike. When I did I was able to find him in the 1915 New York State Census! 1915 NYS Census, New York City, ED 9, AD 28, block 1, pages 2 - 3; Michael Coyle family at 2033 Third Avenue. is always good to learn more. Abraham Mark, 1812 PA – 1872 OH, was my 3rd great grandfather. He married Mary Isabella Heffelfinger in 1839 Wayne Co., OH. They had eight sons: Thomas Jefferson, John, William, Marion, Abraham M., Franklin P., David & Edwin. The four oldest sons served in the Civil War. Thomas Jefferson Mark & John Mark died during the war. William Mark, my 2nd great grandfather, was injured during the war but returned home, married and became the father of fourteen children. Abraham is in Reedsburg Cemetery. Abraham & Mary Isabella have many, many descendants. George Patrick Maronge married Glenda Merrel Fortenberry, daughter of Duviox B & Gussie (Alford) Fortenberry. They had two sons and a daughter. In 1934 Otis Charles Massie [b 1912 OH] married Ethel E Good [1912 OH – 1950 OH], daughter of Albert Edward & Elizabeth Lodema (Moore) Good. They had three children: Virginia, Edward & Caroline, all born in OH. Elmer Maurer [b 1899 OH] married Pauline Morrison [1899 OH – 1979 OH], daughter of Seth Benner & Margaret Jane (Gruissy) Morrison. They had five children: Roy, Dale, Jack, Gerald & Joanne. Elmer was an electrician. Daniel McCall [b 1860 NY] married Elizabeth Noye. They had six children: Margaret, Martha, Daniel, James, Mary & Patrick. James Joseph McCall [1898 NY – 1944 NY] married Marion Coyle [1900 NY – 1991 AZ], my grand aunt. They had no children. James was a New York City firefighter. David Jackson McClendon [b 1838] married Eliza Jane Smith [1846 – 1919], daughter of Wyatt & Euseba (Fortenberry) Smith. They had two children: Annie and Eugene. David J McMillan [1872 – 1950] married Ola Schilling [1880 – 1954]. They had twelve children: Wallie, Ethel, Ora, Mae, Lloyd, Archie, Velma, Mammie, Rhoda, David, Nadine & Evon. In 1880 Allen G Messmore [b 1830 OH] married Barbary Ritter [1857 OH – 1928], daughter of Isaac & Isabell (Fisher) Ritter. They had six children: David, Ada, Bertha, Oliver, Clyd & Edward, all born in OH. In 1836 Frederick Miller [bc 1803 MD] married Barbary Ritter [1810 PA – 1895], daughter of Johannes & Anna Mariah Ritter. They had five children: Elizabeth, Philip, Ari, Mary & Anna, all born in OH. Henry C Miller [1847 OH – c 1910] married Mary Catherine Ritter [1853 OH – 1938] in 1870 OH. Mary Catherine was the daughter of Isaac & Isabell (Fisher) Ritter. Their nine children were born in OH: Charles, William, Dora, Harvey, Jonathan, Emma, Anna, James & Russel. Peter Jonathan Moore [1857 OH – 1929 OH] married Caroline L Gruissy [1863 OH – 1936 OH]. Caroline was the daughter of Augustus Ceaser & Mary Ann (Everett) Gruissy. Peter was a farmer and brick layer. Their six children were born in OH: Amaline, Lillian Vera, Floyd, Frances, Elizabeth & Ralph. George a Morris [1877 – 1943] married Mary Louise Fortenberry [1881 – 1963]. 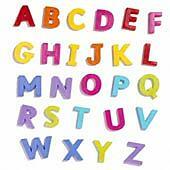 They had seven children: Willie, Boyce, Theodore, Delphin, George, Lank & Pershing. William Hiram Morrison [b 1830 NY] married Emily Benner [1839 OH – 1908 OH]. William was a shoe maker. They had six children: Thomas, Seth, Eldridge, Emily, Phoeby & Lolly. 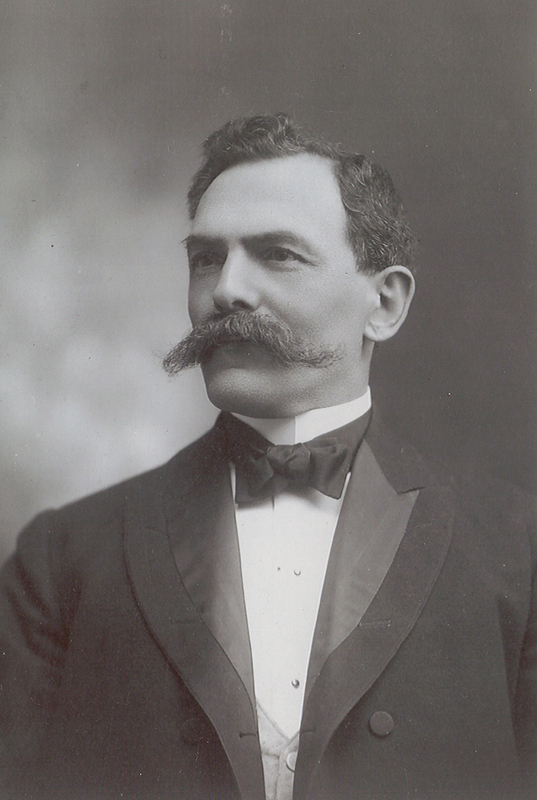 Their son, Seth Benner Morrison [1861 PA – 1952 OH] married Margaret Jane Gruissy in 1880 in OH. Seth was a farmer and later a paper finisher at Ohio Boxboard Co. They had eight children: Mona, Lena, Emily, Albert, Florence, Paul, Pauline & Peter. Elizabeth Mowrey [1799 – 1871 OH] was my 4th great grandmother. She was the daughter of Michael & Eve Mowrey. Elizabeth married Philip Heffelfinger [1787 PA – 1877 OH]. I would love to learn more about the Mowrey family. Daniel Mullane [c 1838 Ireland – 1930 Ireland] was the son of Thomas & Julia (Sullivan) Mullane. He married Brigid English. Their eleven children were bobrn in Ireland: Mary Josephine, Patrick, Thomas, Timothy, Ellen, Margaret, Frances Bridget, Margaret [a second Margaret], Daniel, Julia & Catherine. Daniel was a coach builder in County Tipperary. 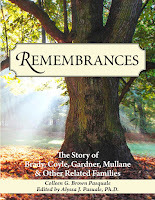 Other ‘M’ surnames in my tree: Maley, Mattingly, McCormick, McCraw, McDaniel, McEleveen, Minter, Minton, Mowrer, Mullen & Munoz. For many years our family has gathered for the 4th of July. I remember being with my brothers and my cousins playing and looking forward to the fireworks as our fathers took charge of the grill and our mothers kept a close eye on the babies as they made salads. My father was the oldest of seven children and we were a large group when everyone gathered. Sometimes we gathered at my Uncle Larry’s house on the lake. Fishing was included in the day’s activities. Sometimes we gathered at our house. We could see our town’s fireworks from the front lawn. In more recent years my husband & I have hosted the festivities: swimming in our pool, volleyball, games for the children, conversations, my husband & my brothers at the grill and lots of laughter. 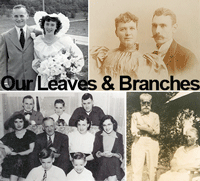 This is the perfect time for me to share my recent findings on our shared family history. It is nice to reach out to people on the internet but even better to share in person. In the past I have displayed family photos, given out newsletters or distributed brief reports on recent discoveries. Sometimes I set up display boards. Last year’s boards including family trees & a tribute to our veterans over the years. My uncle brought along the rifle our great great grandfather had carried in the Civil War. That got lots of attention. I will put up the old boards again for anyone who was not able to come. I will also add a new display board. This year’s display board is “BROWNS on the MOVE.’ It tracks our family through six generation & six states, from 1779 to present day. My father and his siblings are the seventh generation. My brothers, my cousins and I are the eighth generation. 1. North Carolina where Edward Brown can be found starting 1779. 4. Mississippi where Moses, Edward S., Allen, Jasper and Roy lived. Many relatives are still there. 5. Ohio where Roy J Brown traveled to c 1925, married & raised a family. 6. New York where the Roy Browns moved c 1940 and where many of us live today. I usually get lots of positive feedback from my displays. I have a young cousin from Minnesota who loved learning about our family’s veterans. One of my nephews is always interested in the history and studied family names before naming his children. Maybe one of these relatives will catch the genealogy addiction and will be the next to carry on the searching, the gathering & the sharing. Edwin & Martha are my 3rd great grandparents. According to 'Cemetery Inscriptions Pike County, Mississippi 1750 - 1978' by Ray & June Sartin Parish, page 1: "Cemetery is on a gravel road, 1 and one-half miles SW Silver Springs Baptist Church and 3/4 mile N of La. line. On a hill just north of a small branch. It is fenced out of a cow pasture. Grown up with weeds and small trees." We visited there in August 1997. We had to walk through a cow pasture to find it. There was a tangle of weeds & thorns. I sincerely hope the stones there are still in good shape.